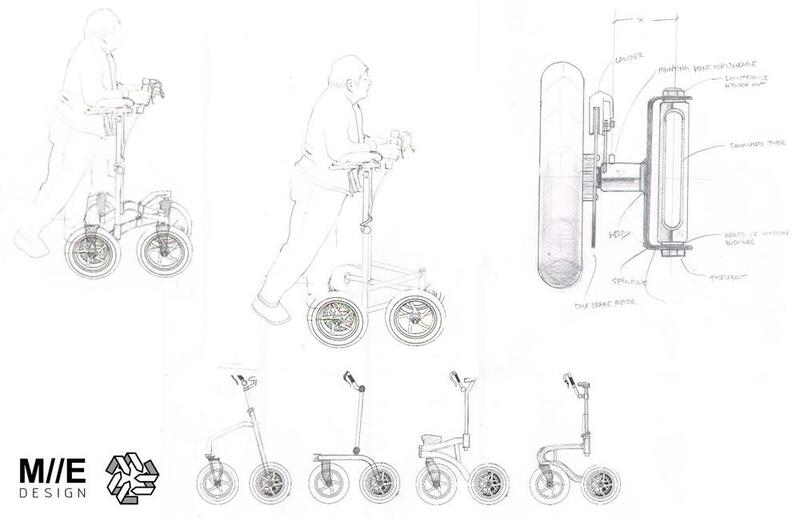 The Walk and Roll rollator is a patented device that came to us in the form of a 4th stage prototype that had many problems and was basically unusable for the client. The client noticed that many of the rollators available were poorly designed, and lacking the ability to become more narrow to get through tight spaces when needed. M//E was asked to create a new prototype that would be lighter than the previous one and fold smaller for travel. We constructed the device from thin walled 6061 Aluminum, laser cut steel, and a plethora of off the shelf bike parts. 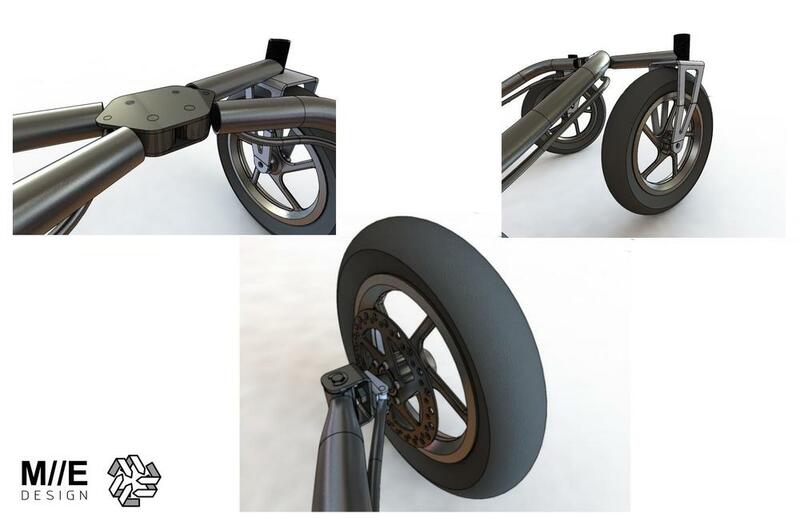 Utilizing Solidworks to test the geometry we were able to reach all the design criteria set forth by the client, and reduce the weight by nearly half from the original prototype. 4 way adjustable arm supports were designed to allow full articulation for a wide spectrum of ergonomic needs. Strong locking brakes allow the user to put a tremendous amount of force on the device while getting up out of a seated position.